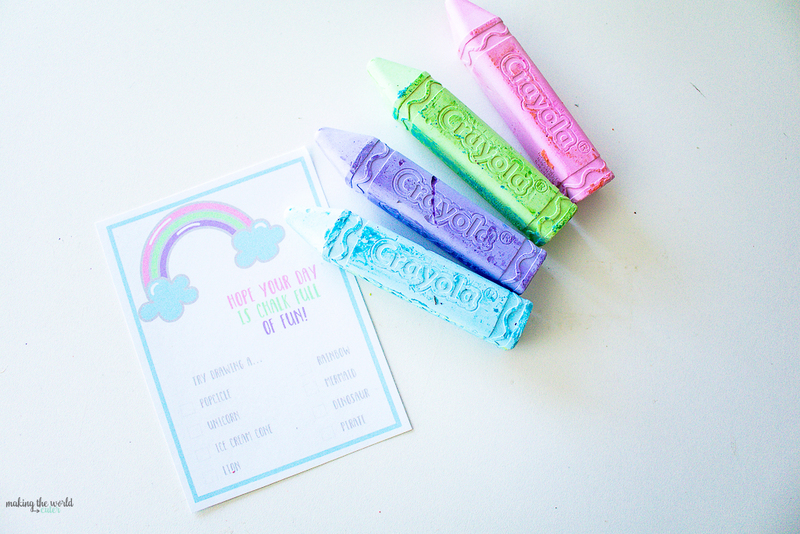 Print the chalk full of fun printable to give with a box of sidewalk chalk for a fun summer surprise. Hi! My name is Tiffany, and I blog over at Making the World Cuter and I am so glad to be here visiting The Crafting Chicks today! They are some of my most favorite chicks online and in real life! I know for most of you, your kids have been out of school for nearly a month. Mine? Today is our last day of the school year! Winter came with all kinds of snow, icy roads, and collapsed roofs, and the kids didn’t go to school for over a month. Ugh. 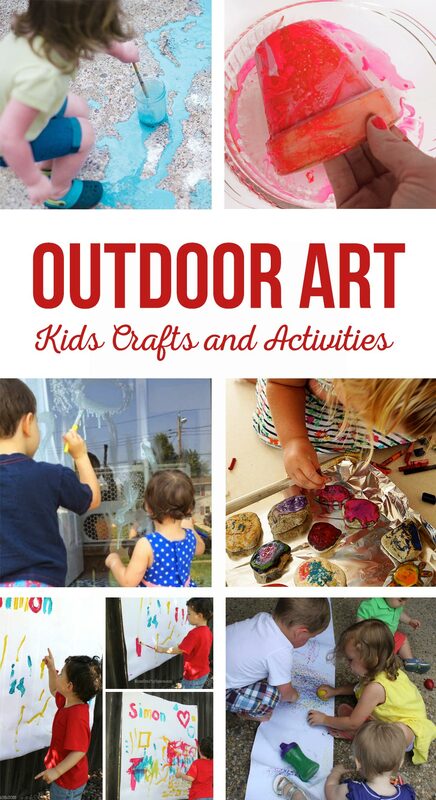 Super excited for summer to finally be here and to have some outdoor fun! My kids (really just about any kids) love to draw, and so sidewalk chalk is always a good happy day gift idea! 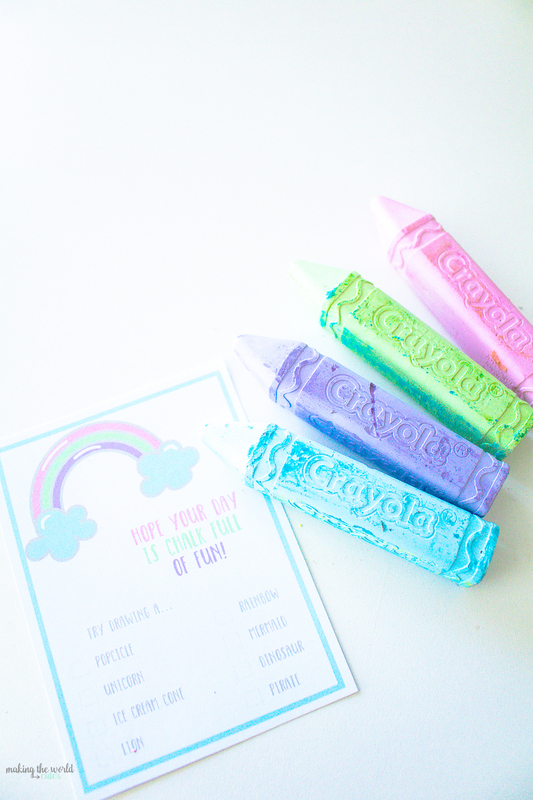 I created this printable for you to give to your kids with a box of chalk so they could get outside and make some art. There is a list of things for them to try drawing just in case they have a little bit of artist’s block. Sometimes that’s all they need…a little nudge in the right direction. My kids always amaze me how different their little imaginations work when it comes to doing any kind of art project. Grab a couple boxes of sidewalk chalk and some curling ribbon and you have a perfect boredom buster for your kids. It’s even more special when these little things are presented as gifts. My kids are a million more times more excited if I tell them I have a present for them and it actually has a bow and a tag, instead of just grabbing it out of the target bag. 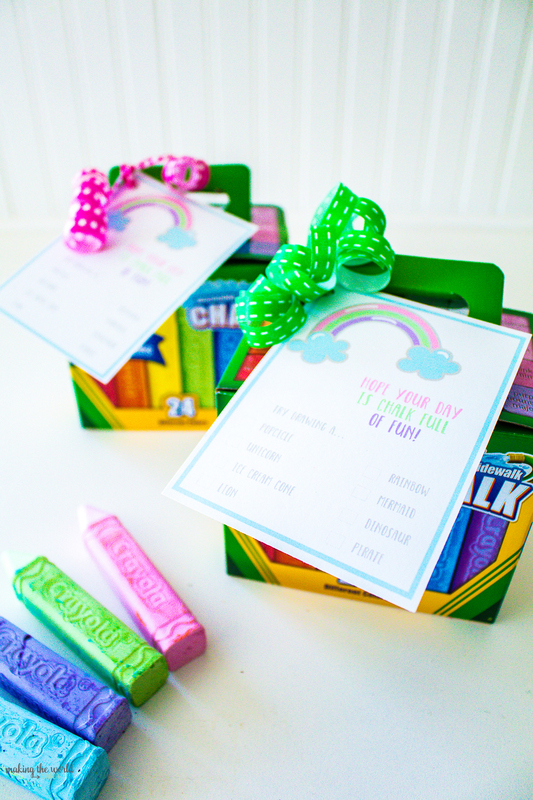 Or keep some fun, inexpensive summer birthday gifts on hand for all those parties your kids get invited to! These are perfect little gifts for just about any age. After all every child is an artist! Come on over to Making the World Cuter for more fun printables and gift ideas! For more Outdoor Art ideas check this out! So Fun! A great, simple gift idea. Thank you.